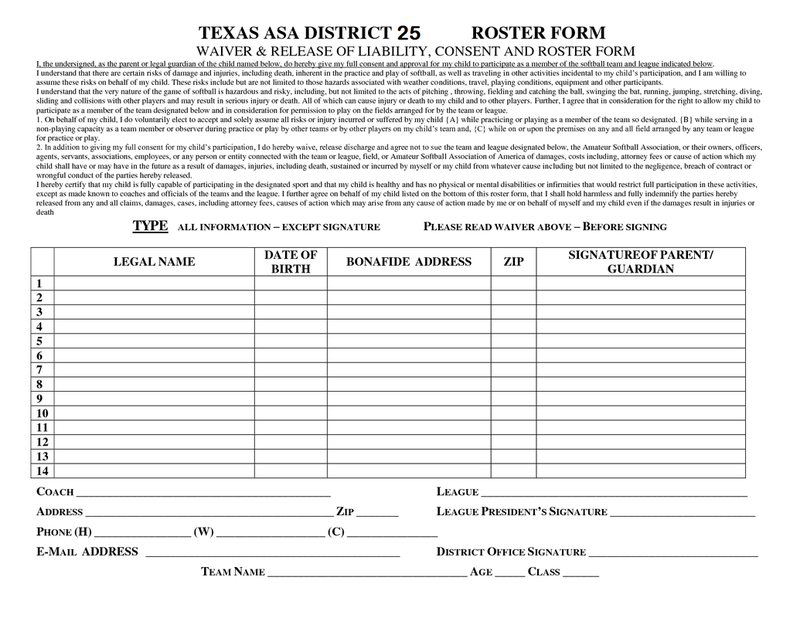 An Official roster is required for ALL teams participating in ASA/USA event or league. This MUST be signed by Anthony Springer to be legal. ﻿Official Entry Form is required for all Class A and Gold Championship play Tournaments. This form must be signed by Anthony Springer to be official.